Aussie Home Loans has spoken out about the Royal Commission final report, saying changes to broker pay will hurt borrowers and have "signifant negative repercussions for the industry". It was announced the group would demerge from Commonwealth Bank last year; the major bank's CEO spoke against broker commissions at the royal commission. A week on from the report, Aussie CEO James Symond has said any changes to broker remuneration structures need to be carefully considered to ensure customers are not adversely impacted. He said “Mortgage brokers provide a very important service to borrowers across Australia. Data shows that customers value the service that a mortgage broker provides, with this industry now accounting for almost 60% of all home loans written. “Independent research shows 58% of consumers will not be prepared to pay an upfront fee for a home loan, so any move to change the current system could cause significant negative repercussions for the industry and Australian borrowers. “Consumer protection and competitive neutrality must be key to any reforms introduced. It is important to note that 66% of the loans provided by Aussie in 2018 were with lenders outside of the big four banks,” he added. 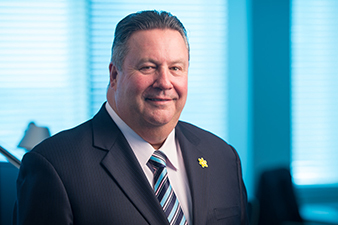 Symond said he welcomed the Federal Government’s recognition of the critical role brokers play and encourages all sides of politics to constructively engage with the mortgage broking industry and borrowers to understand the valuable and vital role brokers play in the Australian lending market. He added, “Across Australia, Aussie has 1,000 mortgage brokers and 225 retail stores operating small businesses in hundreds of local communities. They help tens of thousands of customers every year. Consumers, small business owners, their employees and families, smaller lenders and others have the potential to be negatively impacted by the proposed reforms. 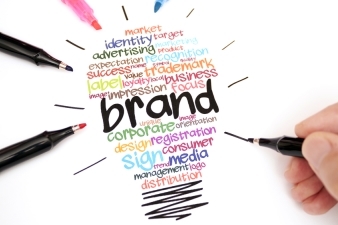 “It is imperative we protect consumers and competition in the market. Reduced competition in the lending market, tightened access to credit, less choice, higher interest rates are expected to be the outcomes for consumers, who will find it harder and more expensive to secure a home,” concluded Symond. Final report "a rude awakening for brokers"
The best way to show why the big 4 want to go to a user pay the broker system would be the big fours market share. I'm sure if that was looked at and shown to the public it would show why the big 4 want to change the way brokers are paid. Look back 20 years ago and see what each of the big 4 had in market share and compare it on current market share. I'm sure it will show why the big 4 would be happy to see brokers gone. James...where's Uncle John, hiding? Surely he doesn't have the CBA noose around his neck like you do! The public would listen if he spoke!! !